Dentsu Aegis Network has acquired SVG Media Private Limited (SVG Media), an independent digital agency in India. SVG Media will join the network’s Asia Pacific digital marketing agency Columbus and will become SVG Columbus. Dentsu Aegis Network is currently Google’s largest search partner in India, and the addition of SVG Media will further strengthen the group’s leading search position in the market. This acquisition will also support Columbus’ expansion in Asia Pacific – now in nine markets across the region. Anurag Gupta, CEO of SVG Columbus & DGM, will report to Ashish Bhasin, chairman and CEO of Dentsu Aegis Network South Asia. Gupta, along with Chirag Shah, Deven Dharamdasani, Akshay Mathur and Ashwani Mehta (CEO of SVG Media Mobile and Seventynine, COO of SVG Media Mobile and Seventynine, business head of Komli and finance controller respectively), will join the SVG Columbus managing board, which will be chaired by Vivek Bhargava, CEO of Performance, Dentsu Aegis Network India. 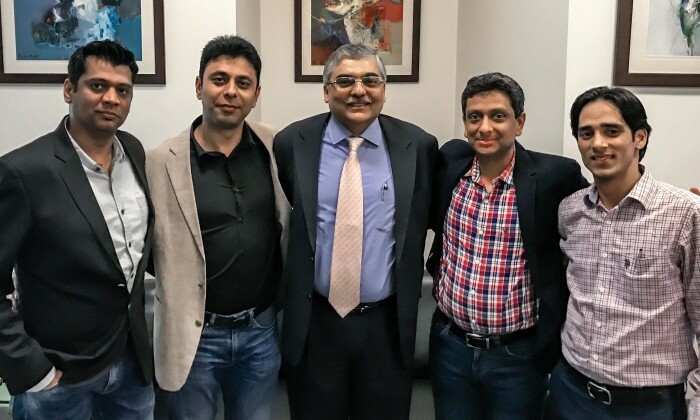 Harish Bahl and Manish Vij, founder and co-founder of the Smile Group, will continue to focus on investments through the Smile Group and will no longer act as directors of SVG Media. It has also been agreed that the Smile Group will retain the Tyroo Techlabs business. He added the group now has a “leading position” in digital in India, particularly in search and performance, with over 1,300 digital professionals, accounting for over 35% of its revenues. Grey Group Asia Pacific has promoted Shahvez Afridi to head of strategy, looking after all of Grey Group’s strategic thinking on t.. The articles on the portals had gotten public complaints and also went “against the country’s laws.” ..